Welcome to the first Call To Auction episode in... well, a long time. This week, Fox Van Allen and Euripides talk about (what else) patch 4.3! This is Fox's first episode, and he didn't know that there were call notes until about 10 seconds after we started, but that's just how this show rolls. Here's the thread on the official forums about epic gems that was discussed. Did you know it still has Markco and BigJimm in the iTunes episode header? Welcome back! Missed this podcast. welcome back. Im very excited to listen. please dont go away that long again. I quite enjoyed the show, so I was wondering, will there be a steady release schedule? 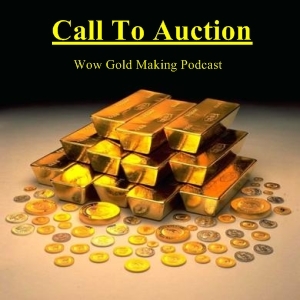 Please keep up the podcast , I love it and make @calltoauction tweet to know we got a new one!!!! Was it a false start or will we be getting more podcasts? Whether new posts come out at any pace, please keep the old stuff available!